In just a little under two days, Tokyo Dark achieved its $40k CAD funding goal, and since then it has just been raking in the dough. So far it’s over $120k CAD (or $99k USD) and June 10th, the campaign’s end date, seems a long way off still. So far, the unlocked stretch goals are several new chapters, but even more exciting is the recently unlocked (as of May 21st) Japanese voice acting. Cherrymochi noted in an update that the voice acting would not be relegated just to character dialogue, but also certain ambient voices and sounds to help improve atmosphere. Next up for stretch goals was “New Game+ [Deja Vu]”, which the devs promised to elaborate on in their next update should the goal be met…and it was! The same day! On the 20th, the devs also discussed some of Tokyo Dark’s stats, offering a description for each. They called these the S.P.I.N. Attributes, which stand for: Sanity, Professionalism, Investigative Skill, and Neurosis. What I really felt was exciting about this information was just how much replay value it was revealing. Depending on which stats are strongest, certain characters will respond to you in some ways, while other times certain actions will become available. 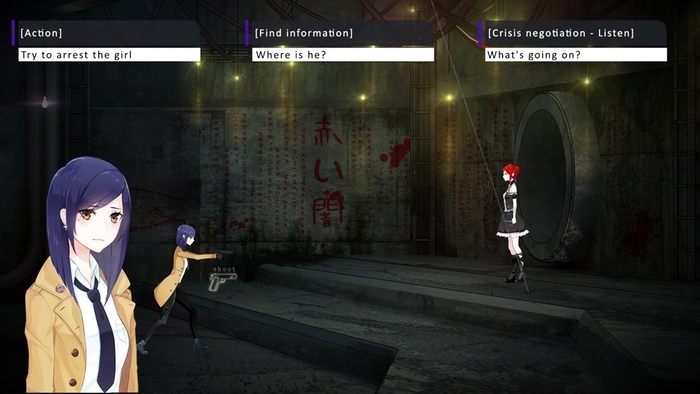 For instance, if Detective Itō’s Professionalism is low, the option to break and enter a location becomes an option. What amused me was the way Neurosis worked. The manners in which you can increase this stat basically described your average gamer’s approach to interactive entertainment: Repeating the same action more than once, speaking to characters after conversations have finished, randomly interacting with objects. Somehow, I think Cherrymochi is having a go at the gaming world with that one! Be sure to check out our other coverage of Tokyo Dark, and keep checking back for more news and highlights! You can also track the progress of Cherrymochi’s title in our Campaign Calendar.